Time for a sweet, hearty breakfast?These are the quintessential places to have roti bakar, Penang famous breakfast of toasted bread, coconut jam and boiled eggs. A relic of British colonial times that still amazes thousands, every morning, in George Town. 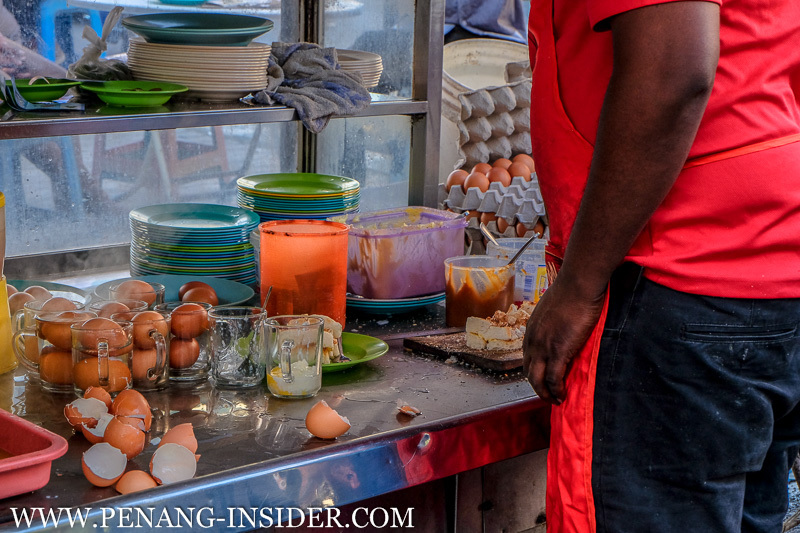 Hungry for breakfast in Penang? 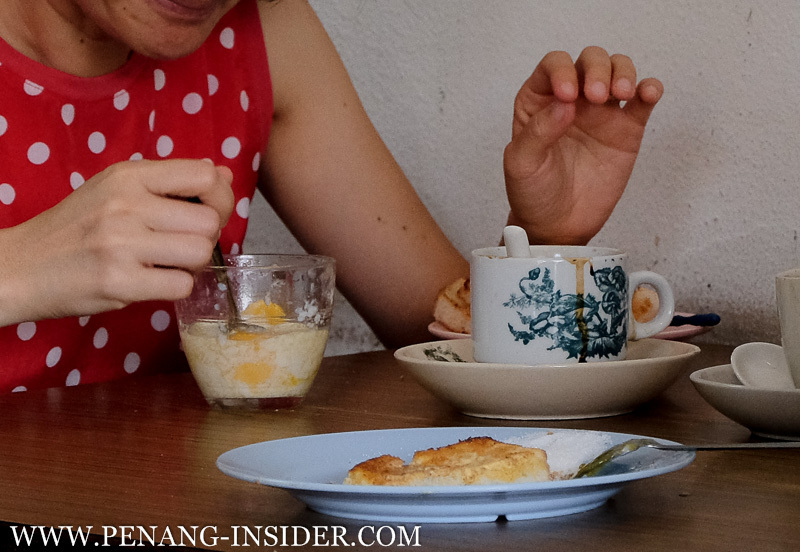 So don’t make other first-timer mistakes, and go where you can have some of Penang famous breakfast. 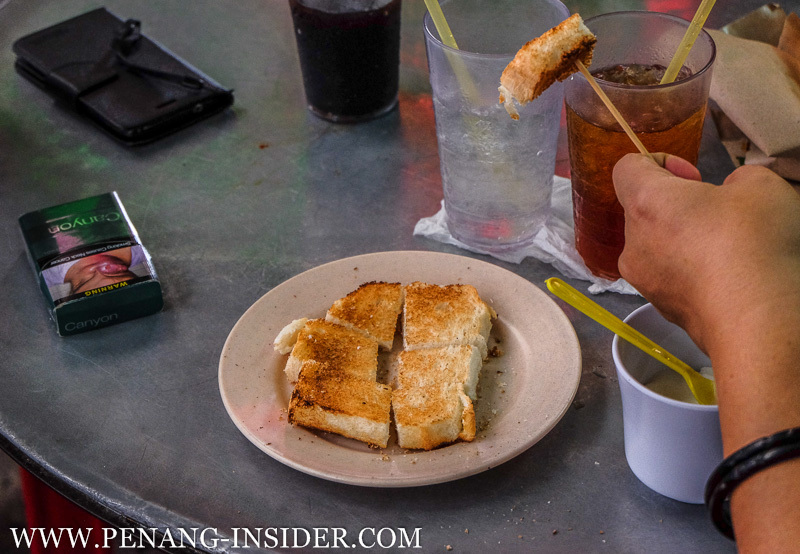 In this article, we want to sing the praises of one of the best Malaysian roti, the quintessential roti bakar, possibly the best breakfast you can have in George Town. Where can you have a good breakfast in George Town? 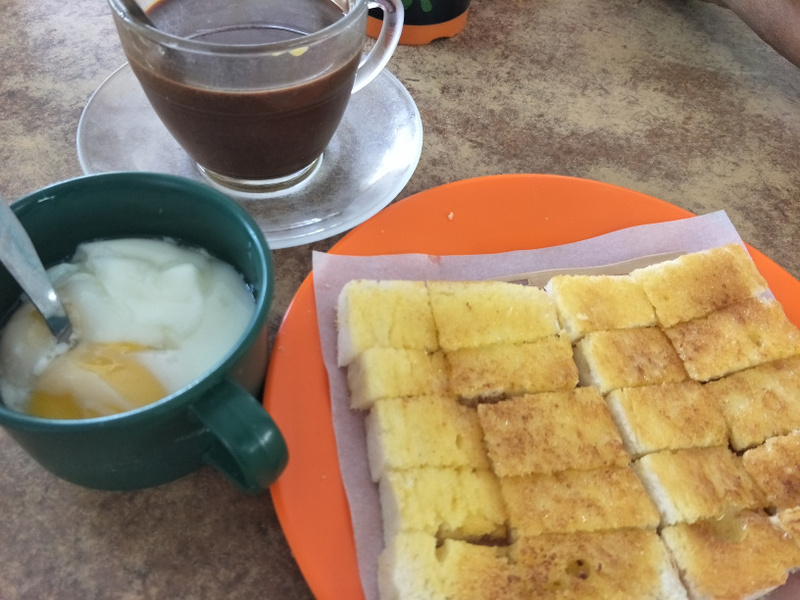 Literally meaning burnt bread, roti bakar may be the best leftover of the British Empire: the English brought a taste for bread, coffee, and sweet tooth breakfasts. 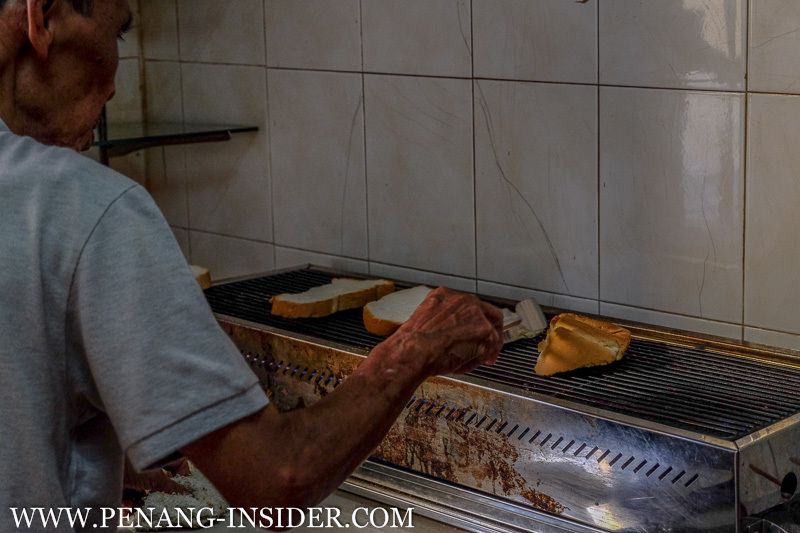 And roti bakar perfectly follows in that legacy: it’s a mean, thick slice of white bread that gets toasted to perfection — traditionally over burning hot charcoals. Two slices of bread are placed on top of each other, “cemented” together with a layer of creamy coconut jam (kaya) and margarine or butter. 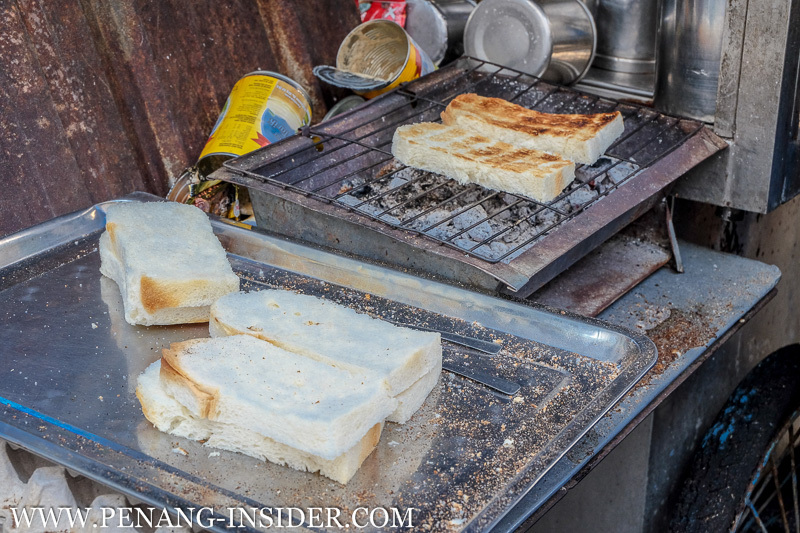 It’s certainly one of Penang famous breakfast choices, and one that binds the nation: Chinese, Indians and Malays all make, and love, this simple yet delicious crunchy bread. 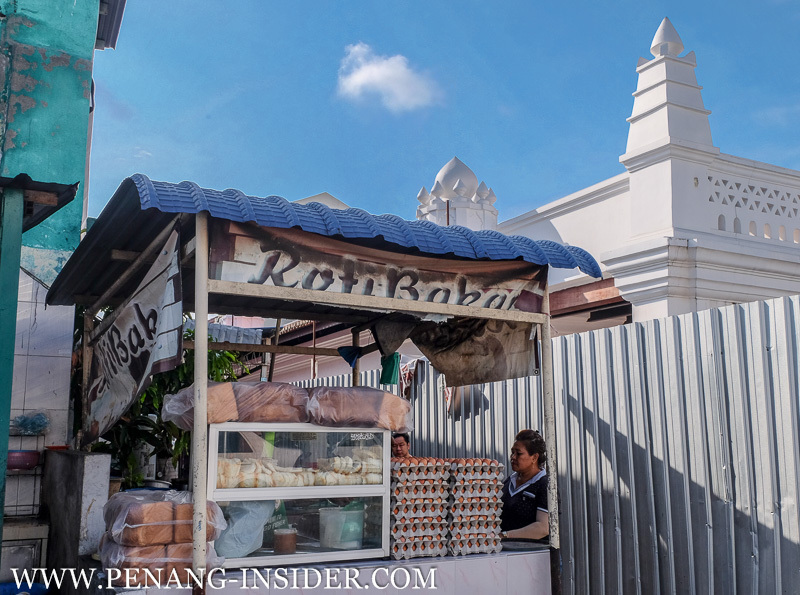 Which, of course, goes down best when washed down with a cup of dark and sweet kopi o or kopi panas — read more about Malaysian drinks and how to order them — possibly consumed by the roadside at one of George Town’s main streets, while cars, pedestrians, and carts zoom past. And when roti bakar is involved, to us, the following 6 places make some of the best island-wide. Mostly scattered around George Town’s central area, they can be reached on foot from most of the main tourist accommodation, and are best visited in the early morning, when you’ll have to rub elbows with many other hungry locals. By the way, do you have a place to stay in Penang yet? Be warned though that all these roti bakar spots, even if they are traditional and no-frills, always pack a lot of customers, especially on weekends, when Malaysian tourists flock to the island. So come prepared with a lot of patience for very long waits, and make sure you are not on an empty stomach — or the roti bakar’s smell alone will make you suffer. 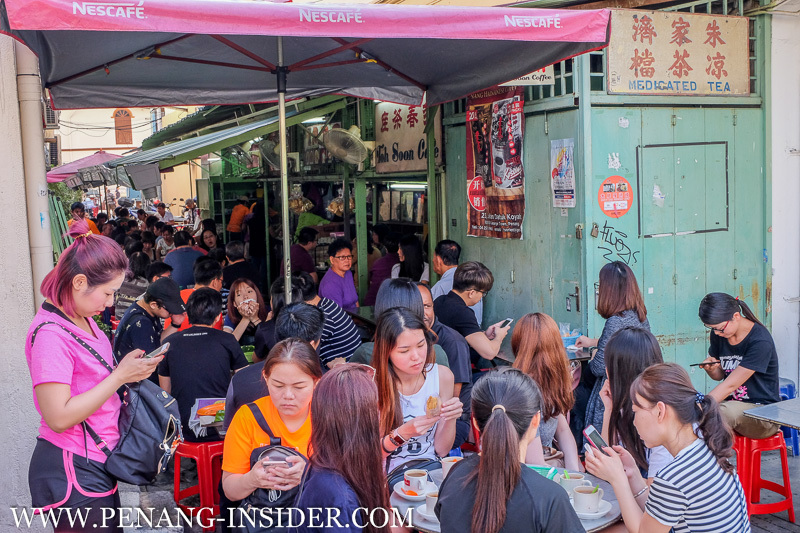 This no-frills cluster of plastic tables is tucked up against the first left alley after Campbell Street’s archway, and is always packed to the gills with locals and tourists. Seated under a green corrugated metal roof slung from one wall to the opposite, patrons come to enjoy the fresh coffee and, of course, the excellent roti bakar prepared here. It’s now a very popular breakfast cafe in George Town: I always joke saying that Toh Soon Cafe has become popular way ‘too soon’ (yeah, shoot me now, please), but hell, it’s hard to find even a single empty chair here on most mornings. 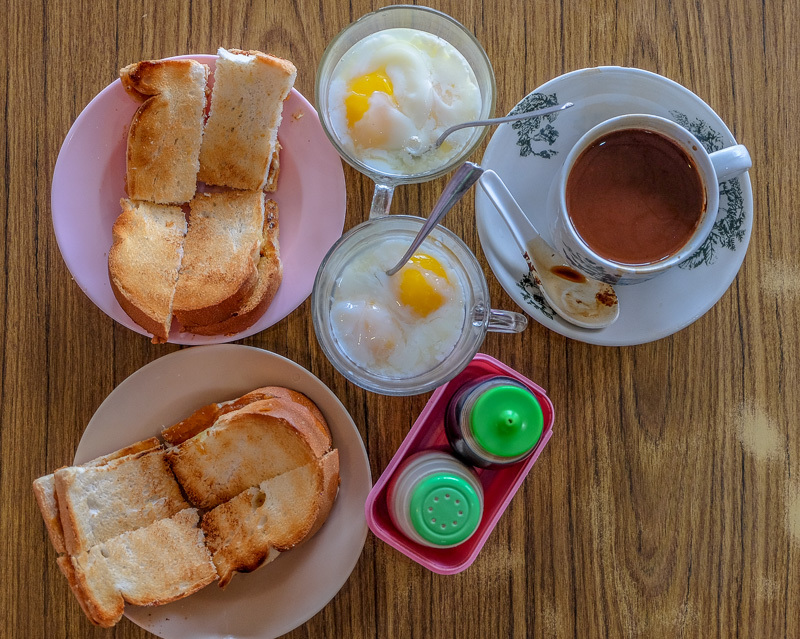 It’s popular for a reason: Toh Soon Cafe serves, indeed, one of the best breakfast in Penang, either with half-boiled eggs on the side (roti bakar goyang telur) or a smattering of kaya (sweet coconut jam) and butter. One of the special things here is the bread itself, which is toasted on a grill inserted in the bottom part of a metallic drum housing the fire. It just takes a few seconds in there, and here you go: crispy roti bakar. Business Hours: Open daily, roughly 7 am to 12pm. Not in George Town, Joo Leong Coffee Shop sits at the side of the road after Batu Maung’s industrial area, along Jalan Sungai Tiram, on the way to Penang International Airport. We love the old-school kopitiam feel, with waiters pushing carts laden with one of the best Chinese roti bakar island wide. The bread here doesn’t come khawin (one slice on top of the other) but laid open on a plate, cut into small chunks, and dripping butter. Gluttony, oh my! It’ served together with a side of half-boiled eggs and a plate of sugar. 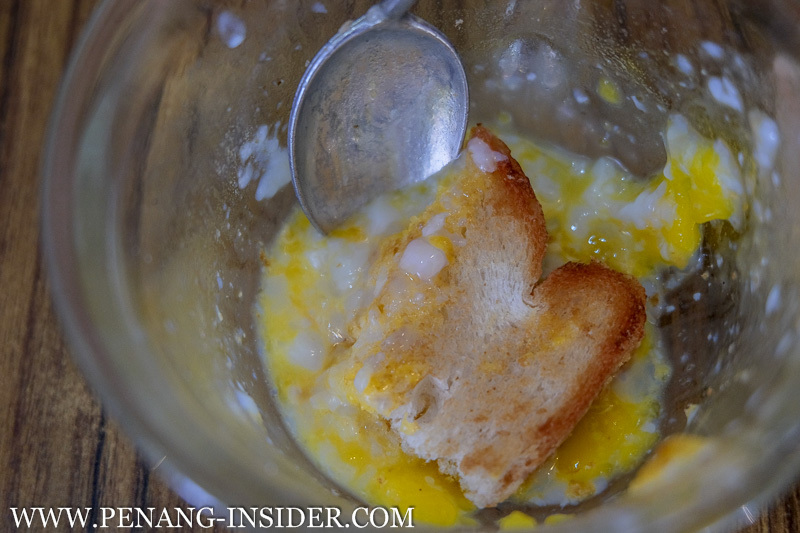 Pick a piece of bread, dunk it in the egg, then into your coffee, and munch away. 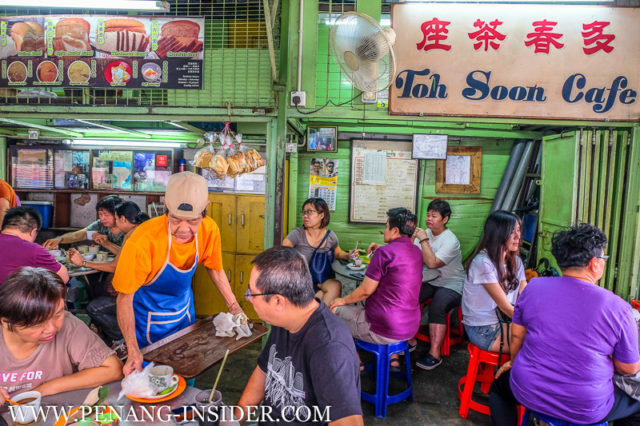 Joo Leong is only open in the mornings when it packs many customers to its breezy street-facing ground floor. If you have a mid-morning or noon flight, this is the perfect place to have your breakfast. Business Hours: Open daily, roughly 7 am to 12 pm. Besides Eating, There are Plenty More Things to Do in Penang. This is a very popular breakfast place along Transfer Road, a street blessed with amazing food. 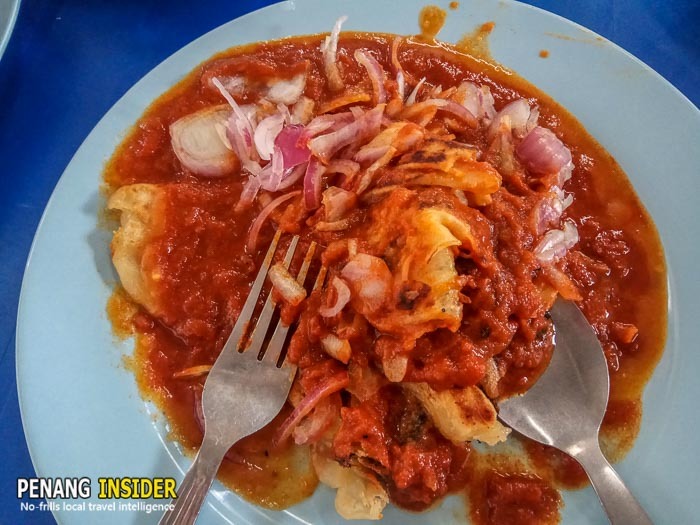 Loud and simple, this place is made up by a couple of metallic stalls where expert mamak roti makers pull and shove their magical white dough into hundreds of circular fried roti and perfectly baked roti bakar. They come served with delicious dhal, sprinkled with red sambal, a most finger-licking-good meal… some of the best roti canai in Penang. This 80-years old roti bakar powerhouse, however, it’s far from being undiscovered: every morning, and especially on weekends, hundreds of visitors pack its street side metal and plastic tables. Come early, and be prepared to wait long for your order… but it’s worth. Business Hours: Open daily except for Hari Raya and other Islamic holidays, roughly 6.30 am to 12 pm. The motley crew of Mamak Indian Muslims here dish up fresh roti bakar directly on the roadside at the upper end of Transfer Road. The simple plastic tables and chairs are set up in an empty alley, while the workers roast the bread slices and brew coffee out of a metallic street cart. Even if it’s just a few meters down the road from the other famous Roti Canai Transfer Road described above, even Abdul Hamid always packs a lot of customers — we have already said how it’s definitely one of our favorite roti bakar in George Town. We love the way their bread always lands on your table really half-burnt, darkened over a grill filled with hot charcoals, crispy and golden. Like elsewhere, you can get your half-boiled eggs on the side, but we love the way the Indians here also prepare roti bakar telur, with a couple of runny sunny-side-up eggs, which they place directly on top of the bread. It’s so much rewarding and yummy to just dig your fork into that soft mess. On weekends, try to visit before 10 am, or be prepared to wait for a while. This place is hidden in a residential area not far from Penang Football Stadium and the popular market at Lorong Kulit, right in front of a small condominium in Gemas Road. Every morning, the place fills up with many hungry locals who come here to taste some of the best breakfast in George Town. 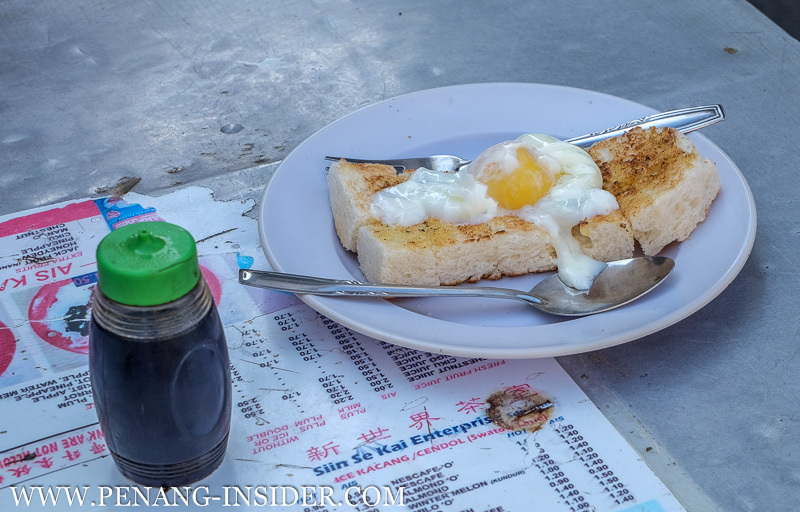 The roti bakar here is thick and smeared with butter and kaya, accompanied by a freshly beaten egg on the side. 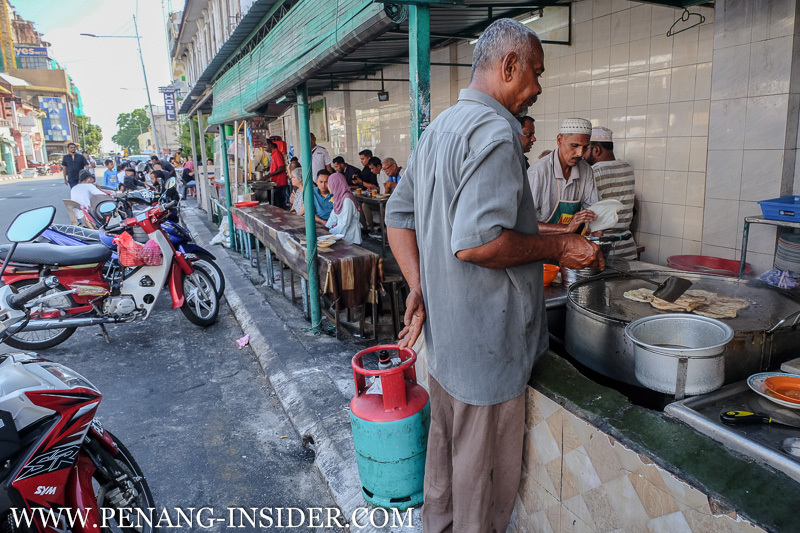 But another speciality here is roti canai, the quintessential Malaysian fried bread: what’s different here at Gemas Road then since so many locals come to eat here? Well, the roti is served cover in a thick, delicious tomato sauce, topped with sliced onions, and if you ask, even a piece of cheese. The sauce is so thick and tasty that I have nicknamed this the “roti pizza” as it reminds me very much of the dish that made my country famous all over the world. Theirs is certainly one of the most famous roti canai in Penang, loved daily by many local people who come here to get one of the best breakfasts in George Town. 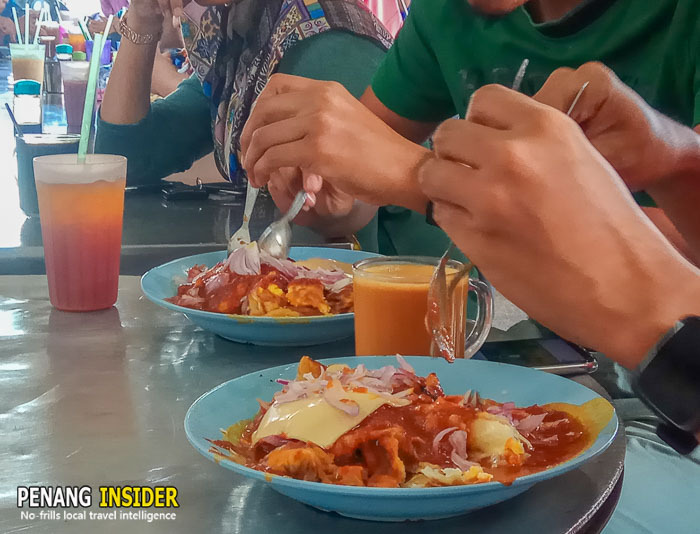 No matter you come here for fresh and crunchy roti bakar with eggs, or a mouthful of tomato-drenched roti canai, be advised that Gemas Road Roti Bakar gets busy as it’s very popular. Be prepared to share a table with locals, and be patient as you order. We don’t recommend coming during the weekend when the place is really packed. Formerly in Hutton Lane (you can still see the original green awning hanging on top of the entrance), this excellent Chinese coffee shop is hands down one of the best roti bakar makers in George Town. 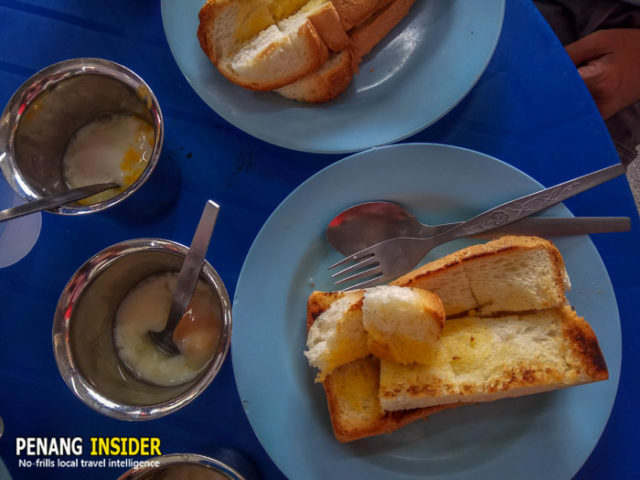 Their bread is perfectly crunchy, the kopi is frothy and thick – they also have kopi si, with fresh milk – and the boiled eggs that come on the side are just perfect. 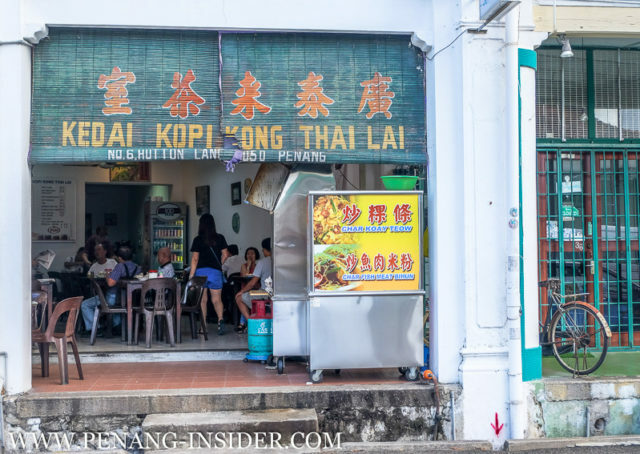 Kong Thai Lai was even the favorite coffee shop of the late magnate Tan Sri Loh Boon Siew, who imported the first Honda Motorbikes to Malaysia. Unfortunately, in September 2016 this historic 100-year-old coffee shop was forced to move from its original home to nearby Leith street. 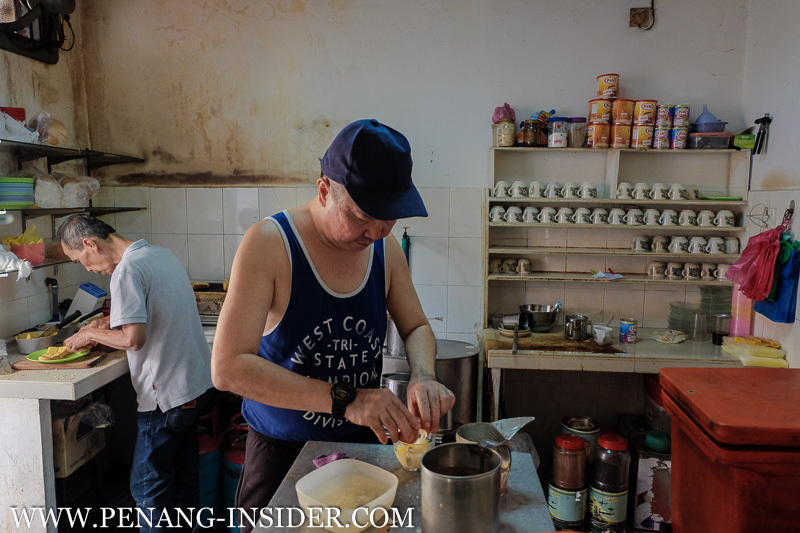 While the business still operates, drawing maybe even more customers and still dishing up Penang famous breakfast, the original building with all its important heritage tile work was sold to Singaporean businessmen and converted into a new, anonymous refurbished shop lot. This was yet another in the series of heartless sales of Penang’s historical buildings, which we believe are doing more harm than good to the island. Business Hours: Open daily, roughly 6.30 am to 12 pm.